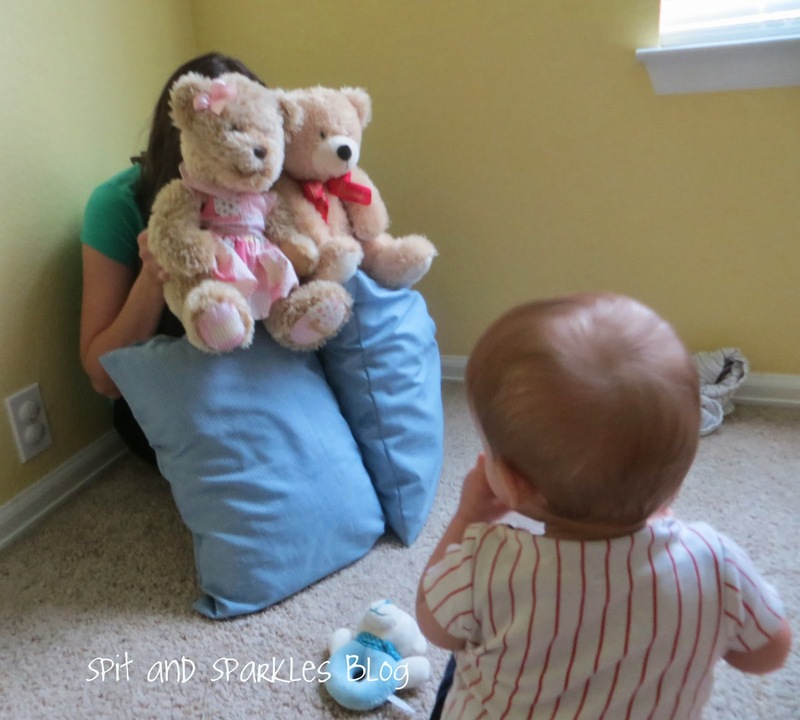 In our Tot School activity last week, the babies and I began playing hide and seek. Corbin and Lynley loved peek-a-boo as younger babies, and now they are ready to step it up a little bit! 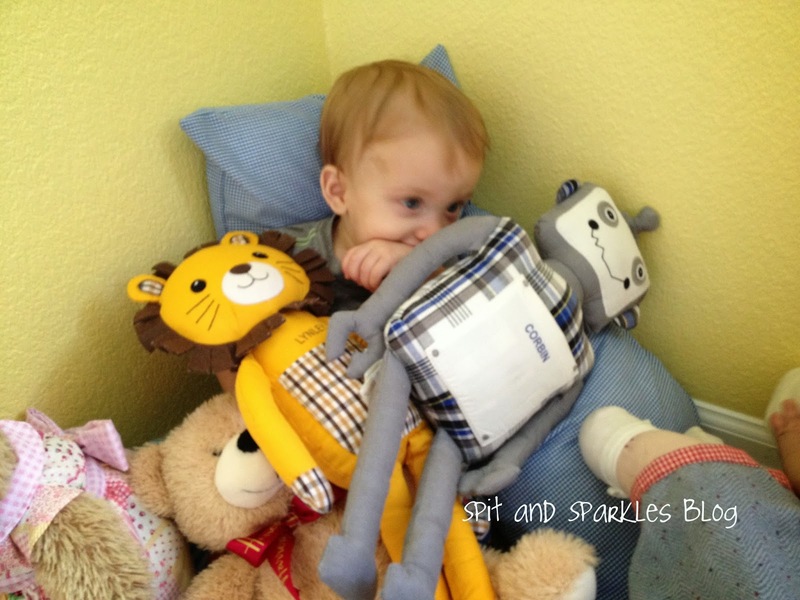 We have played find the object and find mommy or find baby. We’ve played this game just about every day since I’ve introduced it, and I snapped photos on two of the days. Lynley enjoys finding objects under blankets or other toys, while Corbin prefers to play find Mommy, or Mommy find me. We have a corner with pillows and stuffed animals stacked up; and after only a couple of times of hiding there and hiding them there, Corbin will now go over to the corner by himself and lay face down on the pile. He’ll be very still and quiet, and I will say “where is Corbin?”, not a peep or a wiggle, and then I’ll tickle him and say, “There he is, I found you!” Cue the laughter. This is seriously the cutest thing ever. Unfortunately, this is one of the only ones of Lynley that is not blurry. She immediately found everything I hid under the blanket. They will play this over and over again. Now that they understand the concept of hide and seek, Derrick and I have started trying more advanced hiding places with objects, like under a set of cups. We ask them which cup the ball or toy is under, and they find it! We have also started hiding in more difficult places ourselves, like around a corner or behind a curtain. I also want to try playing hide and seek with Jeep. Derrick hides from Jeep all of the time, so it would be cute if he hid with one of the babies from Jeep, and Jeep found them. I know this will get us the loudest laughs and squeals of joy. 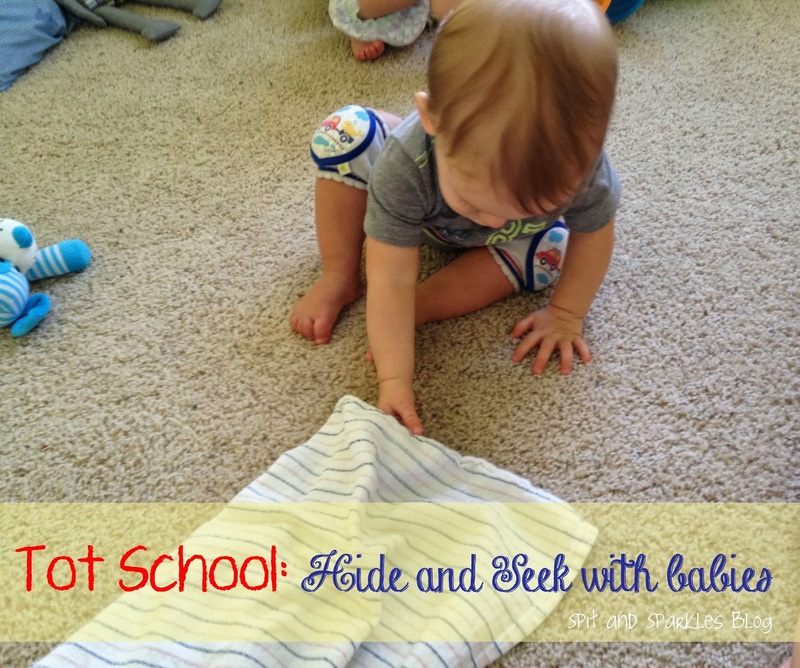 Do your babies or children love hide and seek? What types of unique hiding places have you or your child come up with? Please comment below! I read somewhere that it also teaches them that although they cannot see something, they are still there. So when it comes to nursery etc, its easier to leave you? Whether there’s truth in that or not I have no idea but its a great concept. Great photos, looks such fun! Even my toddler (17 months) loves hide and seek! Him and his younger brother (5 months) erupt into laughter when I jump out from behind a door! Such sweet times with my boys! I love it because it doesn’t involve any planning, and you can just hide behind whatever is in the room already. I don’t think babies and kids ever grow out of hide and seek or even adults! Brings back memories of me playing with my babies, my kids are all teenagers now except my 11 year old but I am expecting my second grandbaby in May so still babies to look forward to playing with. Yours are adorable! 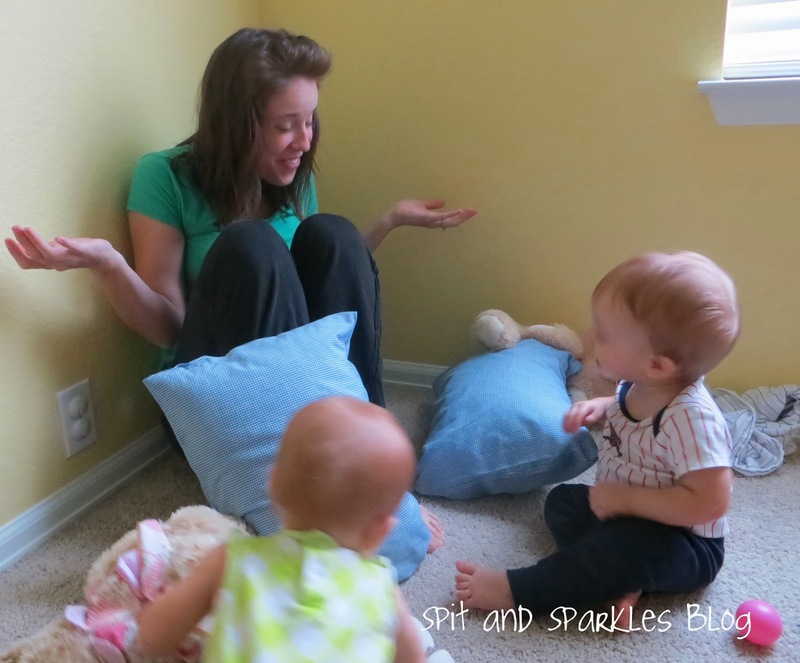 Thanks for taking the time to link up at the Homeschool Linky Party! Fabulous! Thanks so much for sharing. I just love all of your learn through play ideas. 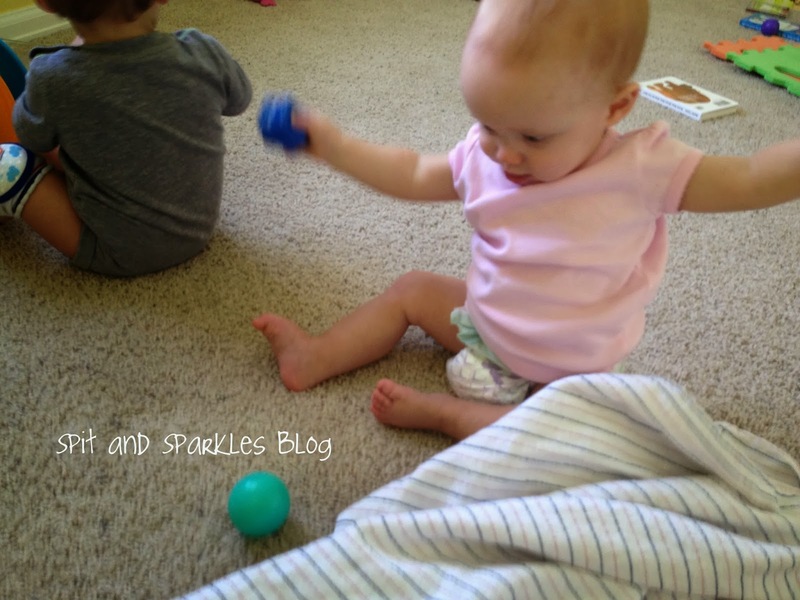 Thanks so much for linking up with us at the Homeschool Link up!